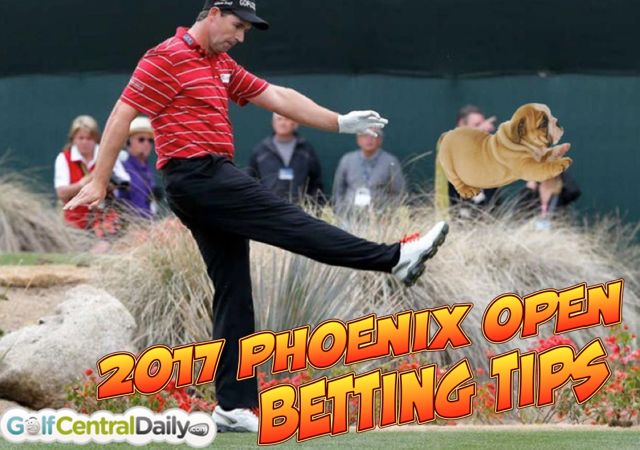 Earlier today I went live on the GolfCentralDaily Facebook page with my 2017 Phoenix Open betting preview and tips. Padraig Harrington usually kicks something into the crowd in Phoenix. I am so busy after returning from the PGA Show on Sunday that I just didn't have time to produce a TPC Scottsdale video with all the bells and whistles, so thought a stripped back Facebook Live chat would get the job done pretty well. Related: Also check out my 2017 Dubai Desert Classic Tips post and video here. T3 at the tournament of champions, AWOL since, as he does, but I love the way he goes about his business. Four consecutive top-20's here, cool as a breeze, the crowds will love him and he does it all his own way. He didn't play in Phoenix in 2016 but was T15 on his debut in 2015. He was T11 last time out at the Sony Open, his worst result in his last five starts was T17, he's a great putter which you need to be in Phoenix and he looked so at ease with his game when I saw him do an exhibition in Orange County National last week. He had three top-6 finishes at Scottsdale between 2012 and 2014 and if you look at his career performances as a whole on the course it is peppered with field topping stats. Finding fairways, Greens in Regulation, most birdies. He's T20, T6, T6 for his first three starts in 2017 too so Steele gets the nod. He has a mixed bag of results on the course but a T5 in 2011 shows he can contend. T20 at the Farmers and T6 at the Sony but there's something about the way he's swinging it at the moment that is drawing me to him. Harris has three top 15's since 2012 including third last year and 9th in 2014; on both occasions he topped the field in birdies. T14 at the Farmers so in decent form. For the brave at 40/1.